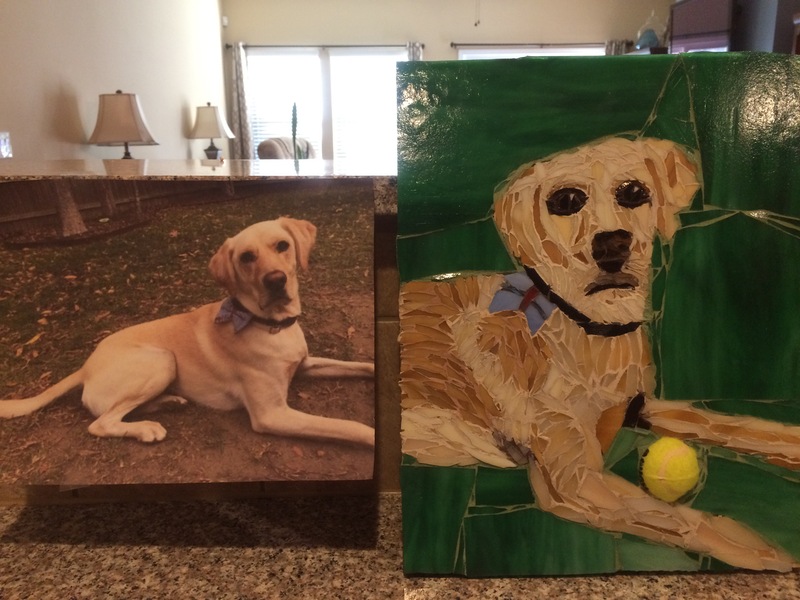 This summer, I have finished 4 custom mosaic pet portraits. Each one has a sweet story which adds to my joy in creating them. I have already shown you Lizzie. Here are the other 3. Here is Nugget. Sweet Nugget was rescued by his mommy from a hoarding situation. He lived his first 3 years in a crate outside in the elements. Now he lives the life he deserves as a pampered prince. The next one is Tucker. Tucker is a sweetheart and very well loved by his mom who is getting married soon. 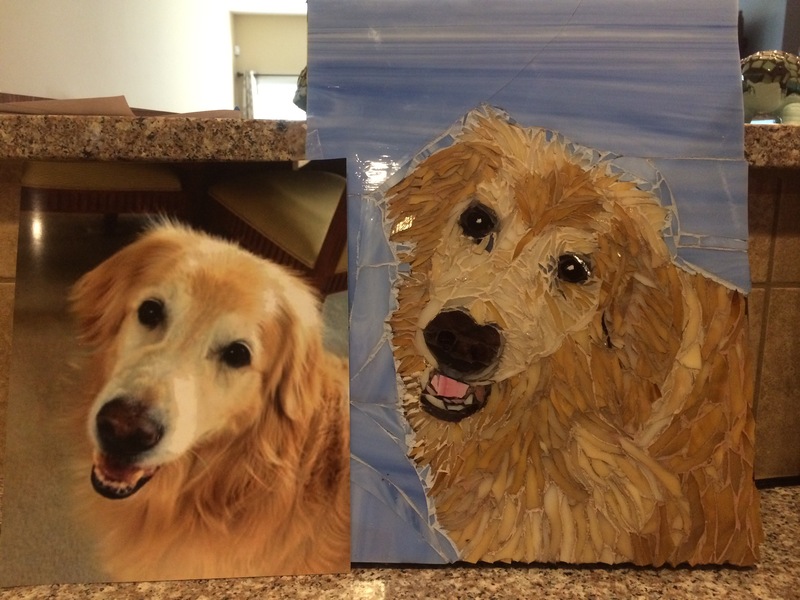 Her parents gave this to her as a birthday gift. 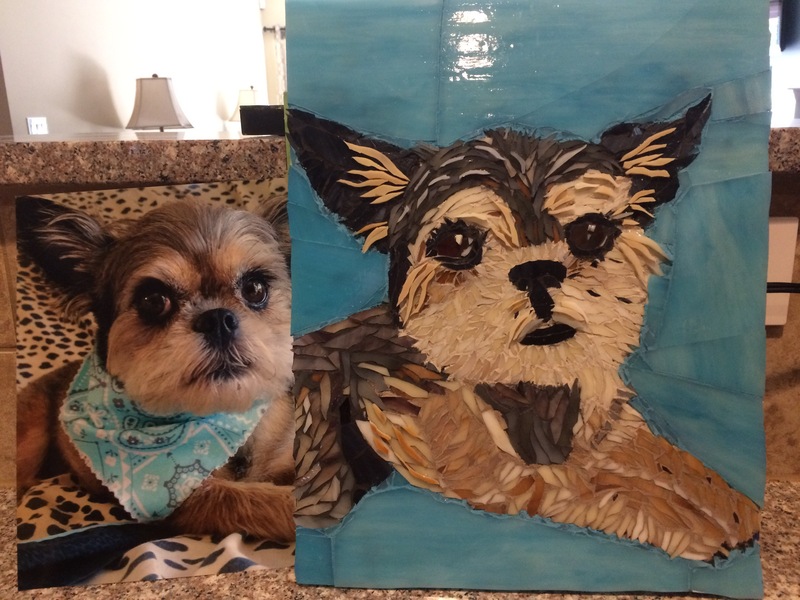 Sweet Frasier crossed the Rainbow Bridge recently and his mom’s friend purchased his portrait for his parents. Frasier was a blessing to his family for 15 years. I loved absorbing his sweet loving spirit as I worked on his portrait. We chose this photo to work from because we felt that he was smiling.